We are an informal organization of friends, supporters and concerned individuals. We try to do our best in our own capacity in addressing issues that we deem important on a global or local level. Circle of Friends - Pilipinas. 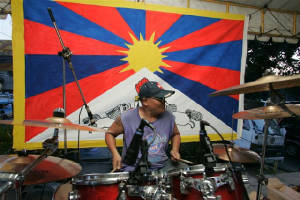 We support the Tibetan' people's right for Self-Determination. We also work towards their right to fully practice their Religion and for Basic Human Rights. We will use this site to spread our group's message. To express our concerns on environmental and global social issues, all-important matters that affects us all. 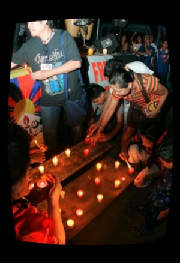 We join the worldwide endeavor for a Free Tibet. No membership is required and everybody is welcome to participate in our future activities. 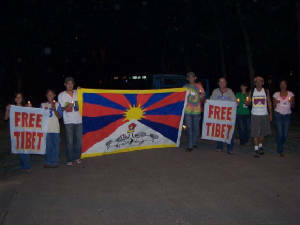 March the 10th is a day for Tibetans and Tibet supporters around the world to stand up and support Tibetans in Tibet, who continue to resist China's oppression in which ever way they can. 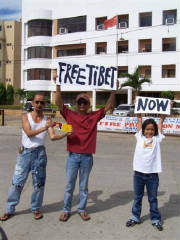 “In spite of China’s continued repression, there is a powerful new movement being led by a young generation (inside and outside) Tibet, using creative, non-violent tactics to empower themselves and their communities and to challenge China's rule.” Tibet belongs to the Tibetan people.